Andrew set-up AJ Motors in 1982 and through sound expansion and development has built up fantastic name and reputation within the industry. 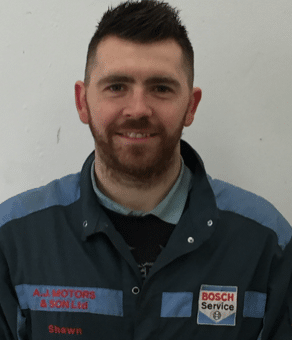 Andrew has invested in and helped train all the technicians at AJ Motors & Son to the highest standards, which they are committed to achieving on a daily basis. Son of Andrew, Steven has been in business since leaving School 17-years ago. Specialising in diagnostic work with the Bosch KTS DIAGNOSTIC EQUIPMENT and covers all aspects of vehicle repair work and maintenance. Darrin has been a loyal worker for the company for over 30-years. 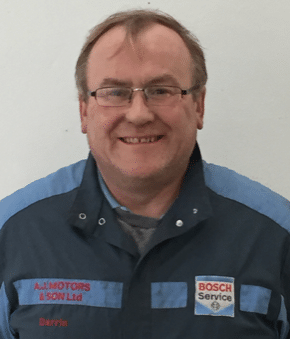 His experience ranges from MOT testing and servicing to repair work. Shaun started with AJ Motors & Son as a Saturday boy. From there he went on to be an apprentice and quickly gained the City & Guilds qualification at an early age. 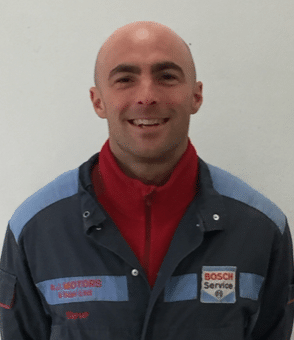 Shaun’s expertise ranges from diagnostic, repair and maintenance work all achieved at a high level of service. 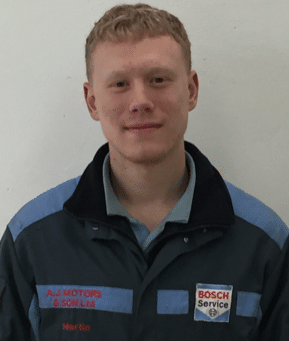 Martin is our latest recruit, joining the AJ Motors & Son team over 2-years ago. Penny is one of AJ Motors & Son team of receptionists trained to Bosch approved standards through the network. Penny has been with AJ Motors & Son for many years and is very customer focused, friendly and extremely efficient. 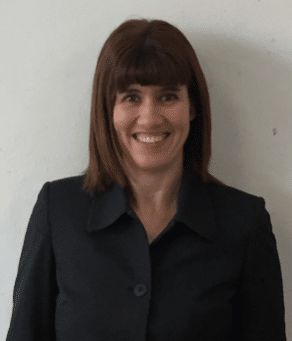 AJ Motors & Son welcome Michelle to the team for 2019. 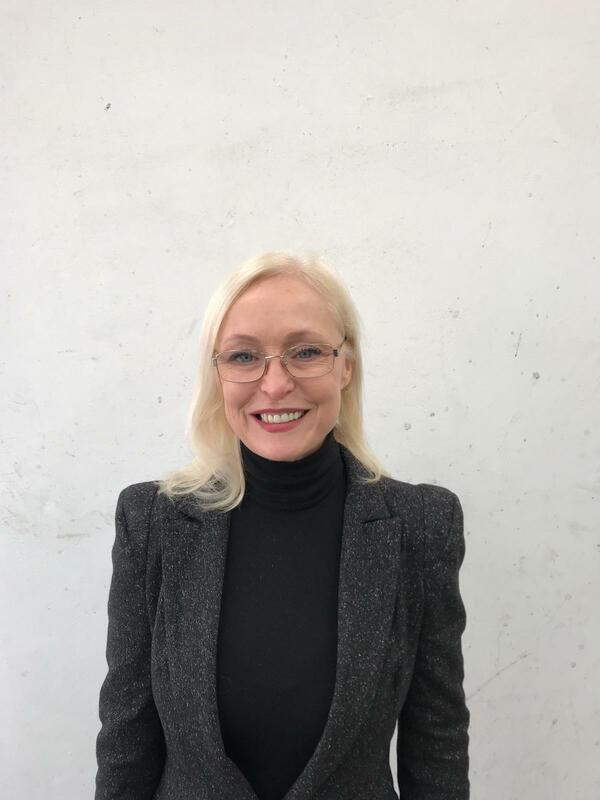 Lynn is also part of AJ Motors & Son receptionist team trained to Bosch Approved Standards and has been with the company for many years. 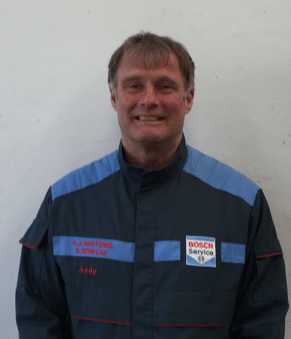 Lynn’s experience has help keep up the high standards and efficiency within AJ Motors & Sons. 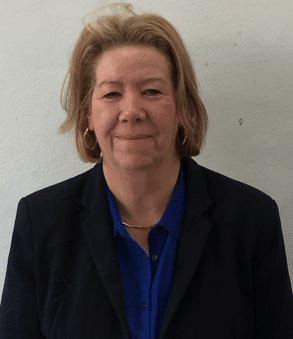 Anne was instrumental in setting up the business with her husband Andy back in 1982 and driving the business successfully forward year after year. 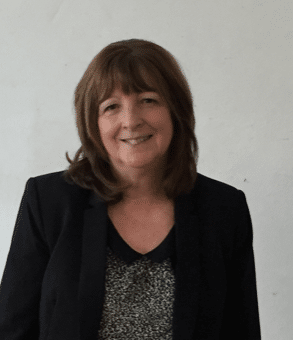 Anne mainly concentrate her expertise on the account side of the business as well as focusing on the support and training of new staff at AJ Motors & Son.